The Sunday after Thanksgiving can be a little bit of a downer. Its one of the 5 low attendance Sundays of the year, and the crowd seems to be on a turkey hang over. This Sunday was a little down in attendance, but it was not a downer. Beth and the worship team brought great energy in worship, and Pastor David spoke an appropriate message. I always enjoy David’s speaking, and today was no exception. 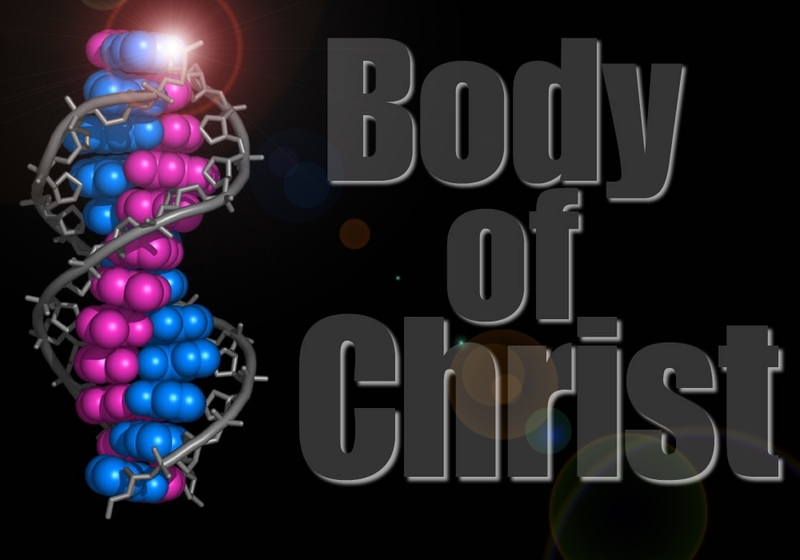 He gave a talk called DNA: The Body of Christ out of I Corinthians 12. I left today’s service grateful to be in the body of Christ. As someone with lots of ambition, its important for me to remember that I am a “part” of the body. My life exists to serve the body of Christ, the body does not exist for my ambition. Evangelical False Guilt – Could It Ruin a Thanksgiving Weekend? For the last few days I have done nothing productive or professionally significant. It has been a wonderful days of family, friendship, great food and watching lots of sports. I have been incredibly relaxed – maybe the most relaxed I have felt in years. So what is it this nagging feeling of guilt that keeps creeping up? Beth lovingly reminds me this feeling of guilt is simply that I am a workaholic and need to relax more. Some truth there. I recognize this feeling of guilt as the quality of being conscientious – a characteristic that I value highly. Maybe some truth there, too – but I am biased. – It’s our fault that our neighbors may go to hell. – It’s our fault that the Ten Commandments are no longer displayed in every court room. – It’s our fault that the people of Bornea (or any other place) are not Christian. The list could continue for some time, but the point is this – Guilt. Guilt. Guilt. Guilt keeps people in the pew. Guilt keeps the offering plates full. When a few days of celebration and vacation occurs, the feelings of peace and contentment can feel foreign. Yet, these are the types of emotions that God wants to be characteristic of His followers. He created rest, vacation, celebration or any other adjective you can think of that describe a full life. So, whenever those feeling of guilt come, I shake them off. I experience false guilt less and less as I am moving out of a “Pharisee” model of Christianity to a “Jesus” model. I hope you join me in striving to experience more days of enjoyment in Jesus that is guilt-free. Today, we launched the “I Want To Lead” Web-Site at www.iwanttolead.com. if you are interested in getting regular updates on this student network, there is a place to subscribe to the IWTL e-newsletter. If you get some time, watch the promo video and take a look around. Will you do me a favor? Will you forward a link to www.iwanttolead.com to any 11th or 12th grade student, youth pastor or senior pastor you know? We want to identify some of the sharpest young leaders in the nation, so we need as many people exposed to IWTL that we can. On Sunday we learned about the purifying fire we will pass through at The Judgment Seat of Christ (II Corinthians 5:6-11. I Corinthians 3:10-15). When we realize that the eyes of Jesus is burning fire (Revelation 19:12), it creates quite a word picture. We can imagine looking Jesus in the eye, then all of our conduct and motives will either be purified or consumed. Can I look Jesus in his eyes of fire, and have the content of my life pass through the fire? I will be asking that question a lot this week. The other day I ran into an acquaintance – who was also in Christ, a “brother.” During the course of our conversation, this man begin to recite propaganda on the latest giga-churches he knew about. (For clarification, megachurch refers to congregations with an average of 2,000 or more worshipers every weekend, gigachurch refers to those with 10,000 or more . . . I just learned that too). This person seemed to have honest and sincere admiration for these incredible minsters, as he recited conversion rates and attendance numbers like they were passing yards and interceptions. I do not have issue with this particular man, but I do have issue with the growing fascination Christians have with the “Christian pop culture.” We have created preachers who are “Christian Rock Stars.” Move over Michael W. Smith of the 90’s, this decade we have Andy Stanley and Rob Bell. Now, I actually want to hear great stories about what our mega-churches and giga-churches are doing. To be completely honest, I want to pastor one of those churches (along as it is CIL). But at the same time we brag on our largest churches, let us appreciate and respect the simple pastor who for years has prepared the Scripture, counseled the misdirected, sat with families during surgeries and endured unfair expectations. Our pastors in rural areas, inner-cities and foreign countries deserve more respect than those of us who can put on a polished service for the suburban-elite in the Bible-belt. Have you ever noticed that most of our booming churches are in the South, and in rich, affluent areas? Coincidence? I am so happy for the growth of these churches, and I want The Church at Indian Lake to experience that same type of success. But let us succeed with humility, and with great appreciate for our fellow churches who are laboring in difficult fields.